Photo Frames are ideal for your family photos, certificates or your artwork. you can hang this photo frame on the wall or leave it free standing on a table or on a shelf, you can use portrait or landscape as our picture frames can be orientated to suit your artwork or photographs. 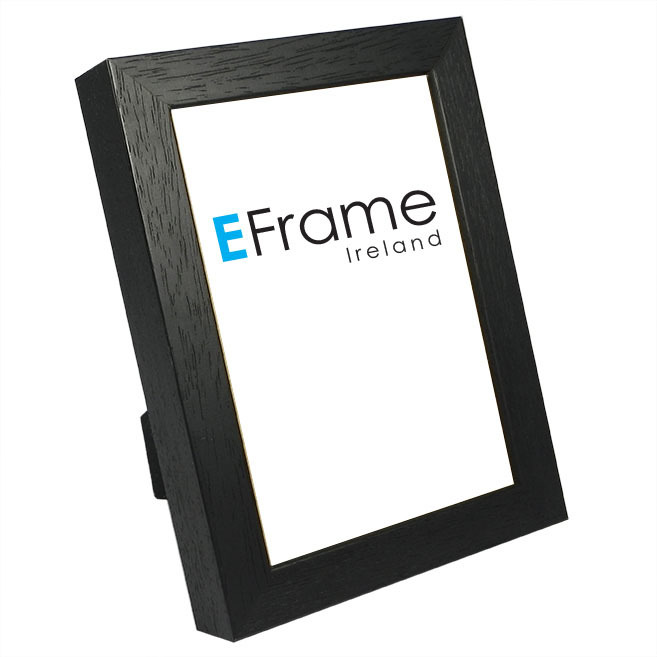 Black open grain 19mm photo frame is made from solid wood and comes with glass, table stand and hanger for wall mounting.